Second time around with Dr. Shin. He’s personal, professional, thorough, efficient, clear with the information he conveys,and Is on time. Terrific experience. Second time around with Dr. Shin. He’s personal, professional, thorough, efficient, clear with the information he conveys, and Is on time. Terrific experience. Consultation Checkin and providing info was great. A little king giving the assistant all my Info knowing I would be repeatingeverything to the Dr. but he did get all the info in advance And was very efficient. Left feeling he was a great choice for my Issue. Physical therapy and next appt in 2 months. Consultation Checkin and providing info was great. A little king giving the assistant all my Info knowing I would be repeating everything to the Dr. but he did get all theinfo in advance And was very efficient. Left feeling he was a great choice for my Issue. Physical therapy and next appt in 2 months. My goal is to provide timely, professional, and cutting edge care for specialized treatment of the shoulder, hip and knee. I utilize the latest minimally invasive surgical techniques to provide the best care for sports injuries such as labral tears in the hip, ACL and meniscus tears in the knee, and rotator cuff injuries in the shoulder. I also treat more advanced joint pathology with partial and complete joint replacement when necessary. At my practice, we serve as leaders in the innovation of Orthopaedic surgical treatment with nationally recognized and award winning research in arthroscopic treatment of shoulder and knee injuries. Our team works hard to provide each patient with the respect and attention that we would give to our own families. Giza E, Shin EC, Wong SE, Acevedo JI, Mangone PG, Olson K, Anderson MJ., Arthroscopic suture anchor repair of the lateral ligament ankle complex: a cadaveric study. Am J Sports Med. 2013 Nov;41(11):2567-72. Arthroscopy Association of North America Top 10 Posters Annual Meeting, Poor Agreement on Classification and Treatment of Subscapularis Tears, Shin EC. Very efficient and helpful. I appreciated that he taught me about the anatomy of my joints. Dr. Shin is always kind and empathetic to your situation and treatment. He takes the time to explain things to you and makes sure that you are fully educated on your future decisions. He is a great doctor and I’m so glad he’s a part of my care team! Doctor was nice and friendly and took the time to explain my condition. He was great but the wait was not ideal. I have been seeing Dr.Shin for over a year now. He didn’t jump straight to surgery with a very long recovery after my injury which I really appreciated. He’s a nice doctor that knows what he’s doing. He is very knowledgeable and very nice. He identified my issue right away and gave me a path forward to fix it. He seems to me to be way above average in several areas - he’s not pushing for a quick fix, he looks at every angle and recommends gathering all the options and information before deciding what is the best solution. He’s also very open minded about alternative solutions! Going to the doctor's office is never easy for me. I usually have a huge fear, but Dr. Edward Shin was amazing!!! He knew how to address situations with a positive manner. He took time to answer all my questions sothat I knew exactly what was going on!!! On top of that... the wait was short and the customer service was phenomenal from beginning to end!!! Pretty straightforward and fast appointment. Very efficient and professional, would highly recommend to anyone in need of an Orthopedic Surgeon!! Thanks again. Every person I interacted with was kind, friendly, and helpful. Doctor Shin was very professional and helpful. He made sure I understood my symptoms, what treatments we'd go through, and what I can expect to happen next clearly. Dr Shin and his assistant Terry were very attentive,informative and treated me with kindness and respect. I felt reassured. 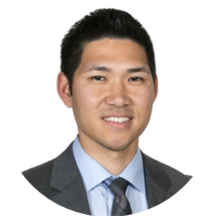 Dr. Shin is very professional, and thoroughly examined my knee and patiently listened to my complaints and symptoms. He had a plan for my treatment. His PA, Terry, was extremely pleasant as well, and concluded my appt with the MRI referral. He is so kind and thoughtful. I am very happy for his treatment. I will tell my friends and family. Dr. Shin was attentive and professional. He took time to listen to my concerns and to explain my condition and the treatment options throughly. Simply put, Dr. Shin is a great doctor. I was so impressed! The Medical Assistants and Dr. Shin were absolutely incredible. They listened. They were clear. They explained why they were doing what they were doing, and answered questions completely and patiently. Even though I hada minor injury and was not looking for a surgeon, they didn't rush through my appointment and really took the time to not only address the main reason I'd come in, but answer questions about a related symptom I was having on my other arm. I've had very few visits to a doctor's office that were like this. Dr. Shin was awesome! I waited JUST over 30 minutes for my appointment (which seems kind of par for the course at most doctor's offices) but after that everything was great. Dr. Shin checked out my wrist (I had fallen afew weeks earlier and still had lingering pain). He was fairly certain it was a sprain but ordered a single x-ray to check one bone in my hand. The x-ray was taken within 10 minutes and Dr. Shin was back to talk over the results with me in another 5 minutes. Turns out it's just a sprain so he gave me a special brace to wear and sent me on way. All in all, a great experience! Edward was quick, knowledgable, very easy to talk to! Went in worried about my shoulder injury, and came out feeling pretty knowledgable and more confident about the recovery process. Dr. Shin wasn't able to identify the cause of my knee pain and concluded that it is not serious. While it may or may not be serious, the pain still persists and I feel that I didn't receive a thorough medicalcare. I will have to find another doctor for my knee pain. I had to go through the paperwork again at office, although I did fill all the forms prior online. Hope this can be eliminated better in future. I felt the consultation was rushed and restless. I'm not sure if the concernI had was addressed well. I visited there to claim the possible improvement on appearance that I had on my foot, but not pain (described clearly), but still recommended to go to physical trainer for improving the pain at the end. I felt the response from the doctor was following the manual but not personalized. Friendly, knowledgeable, and professional about diagnosing the root cause of my shoulder problem. Thanks again! I scheduled a Monday afternoon appointment on a Sunday. It was great being able to see Dr. Shin right away. My appointment promptly began at its scheduled time and ended almost right on the dot. I only saw Dr. Shin formaybe about 15 minutes, but he was very professional, answered all of my questions, and explained my injury and his methods very thoroughly. It was obvious that that he has had a lot of experience. He did an X-ray to determine if I needed surgery on my ankle and performed a test twice just to be sure that I wouldn't (apparently my injury was borderline). I appreciated the extra care to ensure that I wouldn't need surgery. His staff was also very friendly. I can't think of anything that I would change. He was very personable and took the time to make sure he understood my injury and answered all my questions. He also gave me pointers on how to handle finding a physical therapist who will be a fit for me and get me on the road to recovery. He is knowledgeable with good bedside manner. He listened attentively with my concerns, which I really appreciate. I was seen on time which is great! Dr. Shin and his assistant were personable and very thorough. It was wonderful to have my options explained and to be provided with very clear next steps and the underlying reasons for each. I found Dr. Shin based on my location and visited his clinic for my hip pain a few weeks ago. I was seen quickly by an assistant and then Dr. Shin himself after taking a few x-rays of my hip inthe clinic which I thought was helpful. He quickly diagnosed me and listened to my needs and we came up with a plan for my lifestyle and hip. He was personable and I felt he truly listened to my needs and addressed my pain. Would highly recommend! Very professional, knowledgeable, and provided a pleasant office experience. Will only go to Dr. Shin for any Ortho needs, and have referred several friends who also reported a great experience. Encouraged non-surgical fix to my Grade 3 MCL strain/Grade 1 ACL strain. Then did the same for a Grade 2hamstring tear a year later. Both injuries recovered fully and on schedule. Very efficient, professional and helpful! The x-ray technician made inappropriate comments about my ethnicity and Edward Shin was only concerned about surgery and an MRI. He did nothing to address my immediate pain or provide any guidance about how to take care of my injury untilthe MRI. He talked with me for less than 2 minutes and is clearly focused on earning revenue through surgery rather than sound medical advice. I found him to be unprofessional and unfeeling. Excellent surgeon! Happy to have chosen him. He is very down to earth, caring, and experienced! Dr Shin was knowledgeable and quick. My appointment started 35 min late and I spent ~10 min with the doctor overall and he answered my questions, but I did feel properly treated and I would go back again if necessary. Excellent office and very knowledgeable and helpful stuff! Great visit, short and to the point. Professional and respectful of my situation, took the time to explain options and engage me in the decision making process. Appreciate his effort to make sure I understood next steps. Great job. He seemed very professional, pleasant, and knowledgable.